Gems can be equipped on your character giving you additional Power Rank and stats. Gems can be levelled up using Gem Dust. Empowered Gems offer additional abilities. You can have 2 Lesser Gems and 1 Empowered Gem per element, Water, Air, Fire and Cosmic. Empowered Water Gem for the Boomeranger. Big Bomb becomes a Bawk-Bomb. It still sticks to surfaces and explodes in the same area, but also spawns several chickens that attack enemies for a brief duration. Only one such Gem may be socketed at a time. Empowered Water Gem for the Candy Barbarian. Sugar Crash now leaps straight up and crashes down, vacuuming enemies toward you and applying a brief snare. Only one such Gem may be socketed at a time. Empowered Water Gem for the Chloromancer. Spawning a Leafy Lasher or Blooming Pollinator has a chance to spawn a Green Gatling. It grows very quickly and unleashes a rapid stream of projectiles at enemies. Only one such Gem may be socketed at a time. Empowered Water Gem for the Dino Tamer. Increases the duration of the ultimate ability, 'Summon Dino Mount.' Increases the attack speed of the ultimate ability, 'Acid Spit Projectile.' Only one such Gem may be socketed at a time. Empowered Water Gem for the Dino Tamer. Changes the Hunting Dart from one dart to three. Only one such Gem may be socketed at a time. Empowered Water Gem for the Gunslinger. Run and Gun now decreases your attack speed, but all shots fired are max-charged Charged Shots. Only one such Gem may be socketed at a time. The Ice Sage's empowered basic attack freezes for 1 second on the first hit. It also chills enemies, slowing their movement speed. Enemies hit three times with Basic Attack while "Pain Freeze" is equipped explode taking additional damage.\n\n Only one such Gem may be socketed at a time. Empowered Water Gem for the Knight. Charge no longer propels you forward. Instead, a Spirit Squire charges forward through multiple enemies, dealing damage and stunning them. Only one such Gem may be socketed at a time. 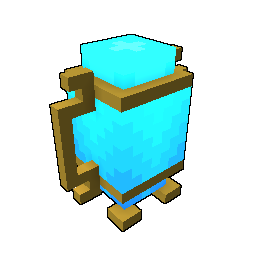 Empowered Water Gem for the Lunar Lancer. Lunacy also spawns a dark shadow version of you that attacks enemies. Only one such Gem may be socketed at a time. Empowered Water Gem for the Neon Ninja. Thrown shuriken are larger and have a wider effect area, pierce enemies, and apply the Stasis Blade effect. Three ring shuriken deal additional damage and bonus critical damage. Only one such Gem may be socketed at a time. Developer test item. Can not be obtained in game. Empowered Water Gem for the Pirate Captain. Two First Mate cannons double your firepower. Only one such Gem may be socketed at a time. Empowered Water Gem for the Revenant. Bulwark Bash loses its cooldown and applies a stacking damage-over-time effect to damaged enemies. DoT effect does not leech health. Only one such Gem may be socketed at a time. Empowered Water Gem for the Tomb Raiser. Spawns a banshee minion that heals all of your other nearby minions. Only one such Gem may be socketed at a time. Empowered Water Gem for the Fae Trickster. Ego Blast now requires an additional hit of damage to remove the bonus. Only one such Gem may be socketed at a time. Empowered Water Gem for the Fae Trickster. For a short time the Fae becomes immune to damage, has increased movement speed and a free Blink decoy is spawned. This gem activates when the Fae Trickster is low on health. This gem has a cooldown. Only one such Gem may be socketed at a time. Empowered Water Gem for the Fae Trickster. Blink decoys are no longer immobile; they close on enemies and explode on contact, dealing damage and stunning enemies. Only one such Gem may be socketed at a time. Empowered Prismatic Gem; can be socketed into any Empowered Gem slot. All colors of light softly radiate from a center of inner calm.